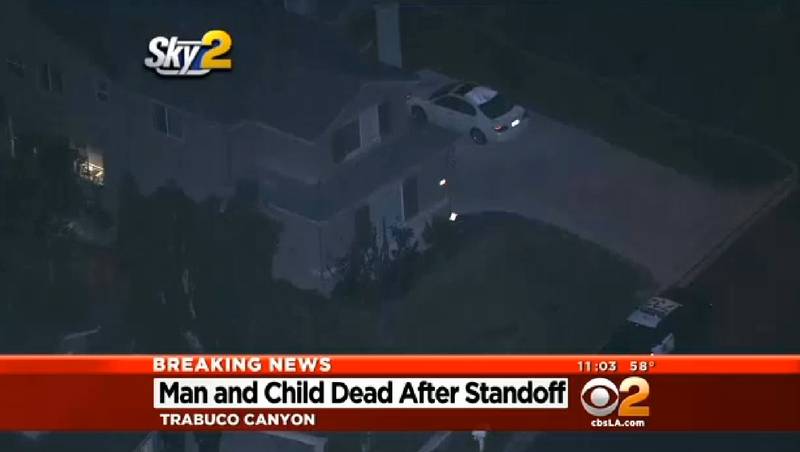 COTO de CAZA, Calif. -- A man and a three-year-old child were found dead in a southern California home after a standoff Wednesday night, reports CBS Los Angeles. Sheriff's deputies responded around 6 p.m. Wednesday to a home in Coto de Caza, in Orange County, after a 911 hang-up call, reports the station. Investigators who responded say the situation quickly developed into a domestic standoff after a woman and an older child ran out of the house. A 41-year-old man remained in the home with the child and refused to come out, investigators tell the station. Authorities reportedly heard shots fired from inside the home. A SWAT team that entered the residence found the man and the three-year-old child dead. The case is being investigated as a murder-suicide, reports the station.